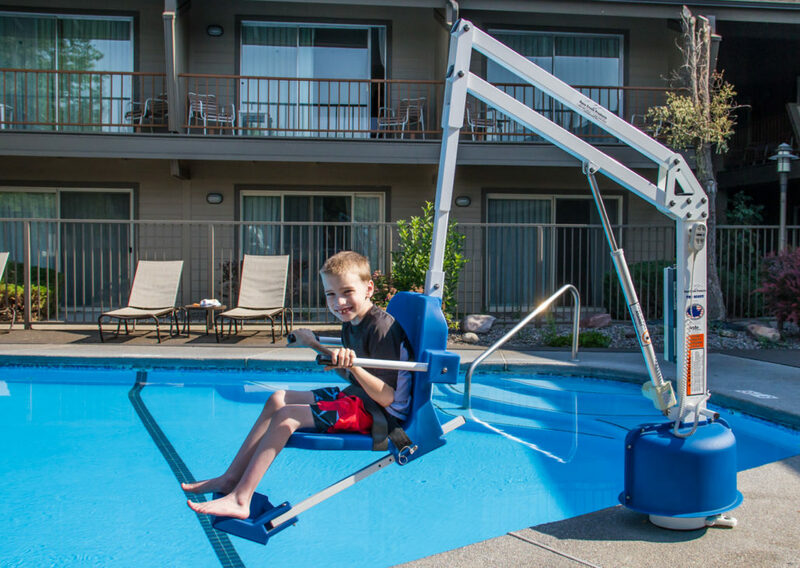 The Scout 2 pool lift features an adjustable height seat pole, robust base and a stronger actuator. These upgrades allow for a weight capacity of 26 Stone (165kg). This pool lift will accommodate most existing anchors by utilizing adapter sleeves. The optional pull-out leg rest may be used for greater clearance on a raised pool and spa applications. The Scout 2 is designed for in-ground anchoring. By limiting anchor installation costs, the Scout 2 is ideal for easy and affordable ADA compliance. In addition, the Scout 2 pool lift can rotate 360 degrees in either direction providing versatility and accessibility solutions. The Scout 2 Lift is fully automatic so a user could, if able, operate it themselves to retain their independence. The lift is constructed of powder-coated stainless steel for strength and durability and is CE certified. This fully automatic lift is operated using a hand-held control and is able to raise, lower and rotate through 360°. Installed in a single fixing socket, the Scout 2 lift can be moved to other locations or removed for storage using the Transport Cart.